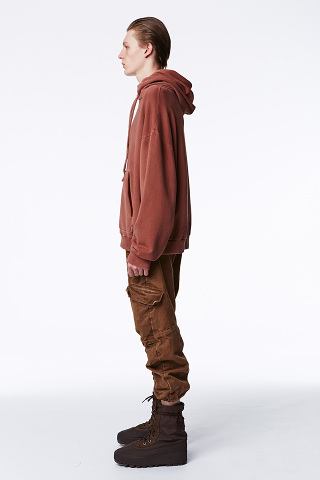 Yeezy Season 2 hitting the spots near you! 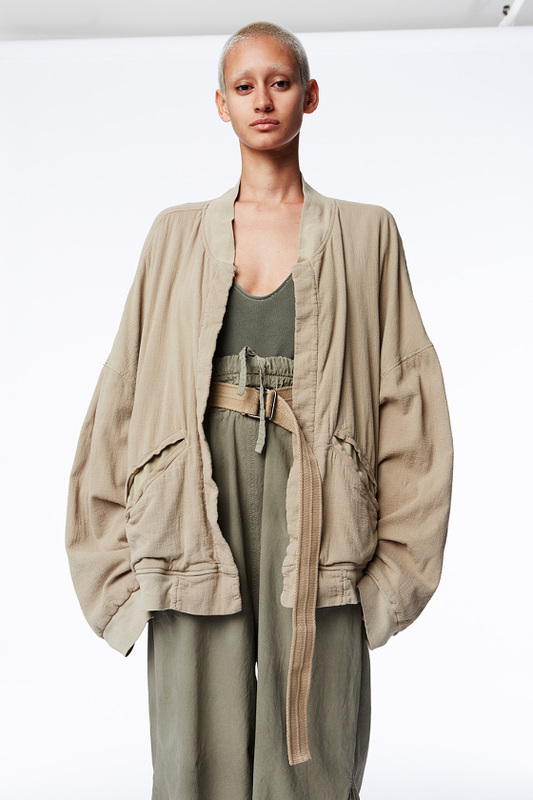 We got so much dope stuff coming to hit you in the face with the latest episode of the Yeezy fashion line. 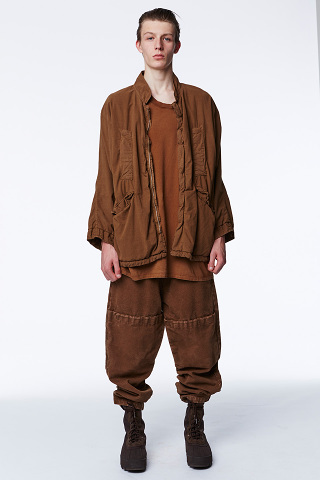 Kanye is definitely looking to penetrate the designer market and he is setting himself apart from the usual stuff we see with some pretty interesting looks. As you can expect we have tons of layering play, with long over coats, slim pants and draping tees. For women we have a line of leggings which are always awesome for layering, and oversized jackets and coats to throw on above that. 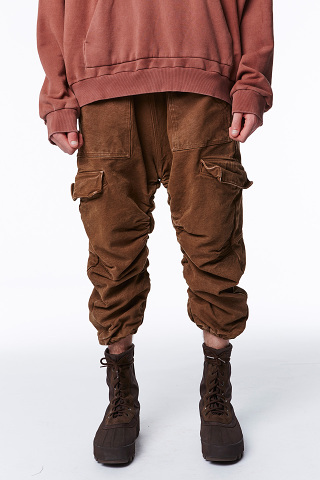 For men, extra long tees which drape over the pants and under the bomber jackets seem to be something which floats Kanye's boat. In terms of colors, pretty much what we expected. 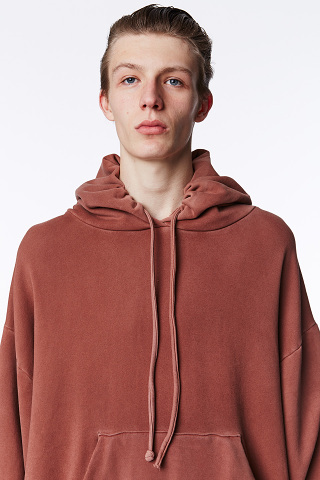 The earth-nature tones of red, brown, green and beige really bring into mind a dystopian style which could more than likely pave the way to some serious fashion directions we will be seeing. Adidas said they would no longeer produce the line, but in spite of that many industry celebrities and influencers showed up at the New York Fashion Week to see what Ye was setting out. Special guests included Drake, Anna Wintour (both were seen on some rather unclear IG posts from Champagne Papi) as well as Pusha T who is also beginning to take interest in the clothing market with his last Adidas collab. With the latest success of his 750 and 950 Boosts with Adidas, Kanye is looking to expand into the clothing sector and whether you like it or not, you have to at least give the guy credit for pushing back once again the limits of the industry. 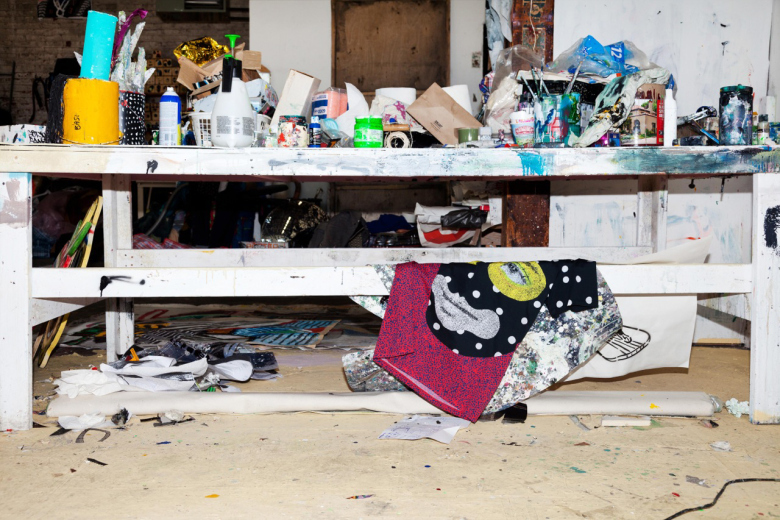 George Gorrow and George Benias recently launched their new fashion venture under the label Cocurata, and their latest collection called upon the inspiration and creativity of artists such as Bäst, Rostarr and Paul Insect for the launch. 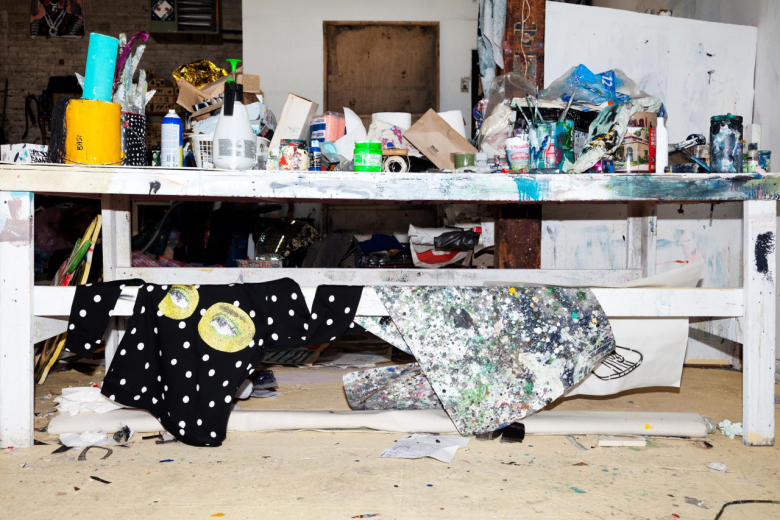 The line is dubbed "Extraction" and seems to perspire a certain urban sensitivity, with lots of references to the artists works. 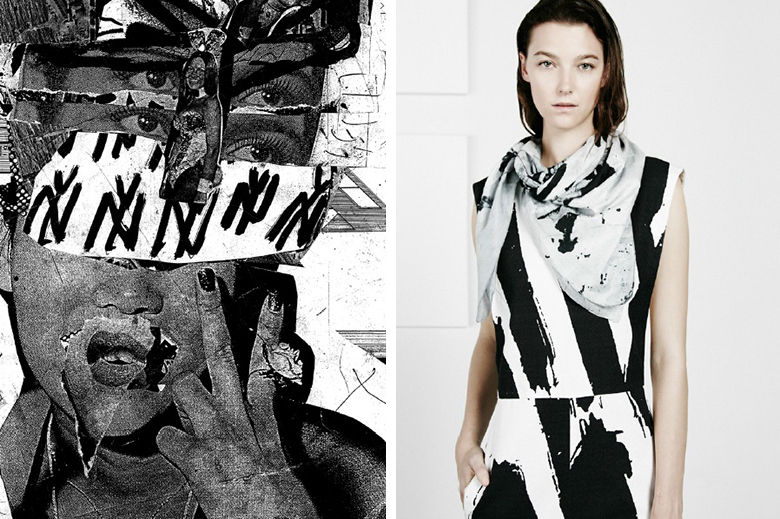 The results is a range of monochromatic pieces (that is what is leading the movement these days) but also some pretty cool and swanky graphic items with crazy prints. The collection is on sale but pretty limited at exclusive retailers in the Hong Kong, Europe, Japan, Australia and NZ and the US of A, of course. Check out their website for more info and the pics below for a preview! Welcome to Blvck Swvg, the home of dope outfits, dope tunes and dope stuff in general! 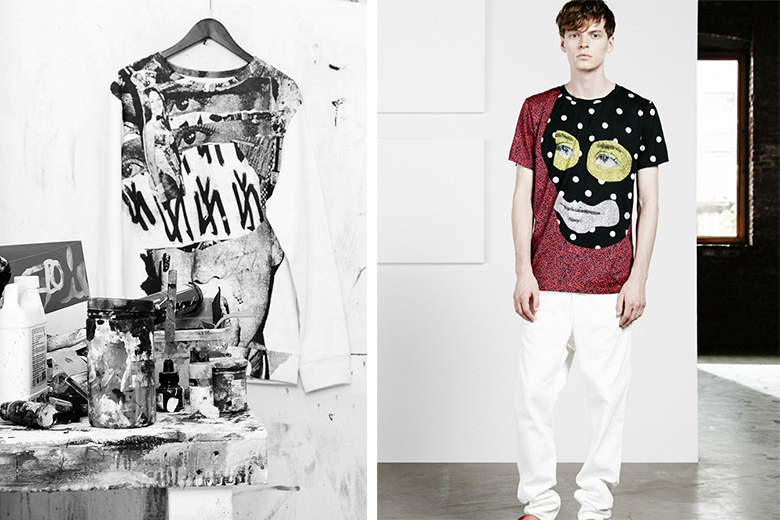 Today we're going to kick off with a preview of what is coming up for the new season 2015, what should hit the streets and where to cop it. First of all y'all should know we're not affiliated to any of these brands, we're just spreading the good vibes and good deals you can get. 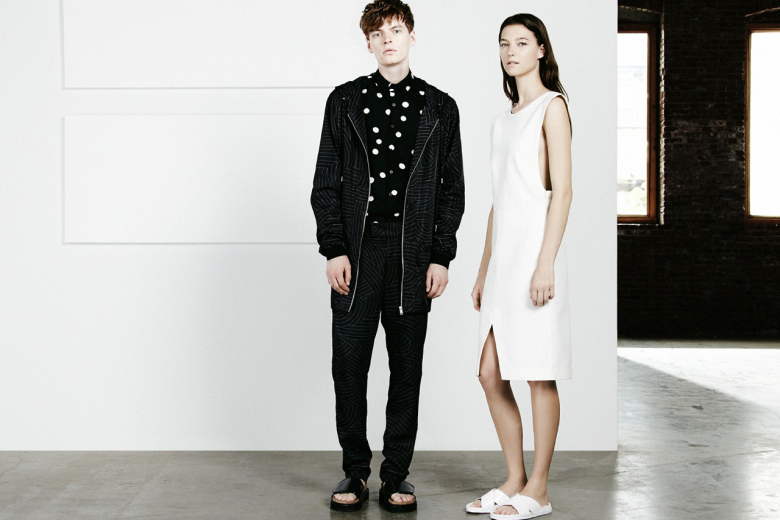 Scroll down below to see our list of Spring / Summer 2015 essentials and don't forget to share your thoughts and suggestions in the comment section. You gotta start at the beginning, or at the top rather, and what you protect your dome with this summer has definitely got to be on point. Now we ain't called Blvck Swvg for no reason, ok? You might get hot in summer, but there's no denying black in the new black this year. 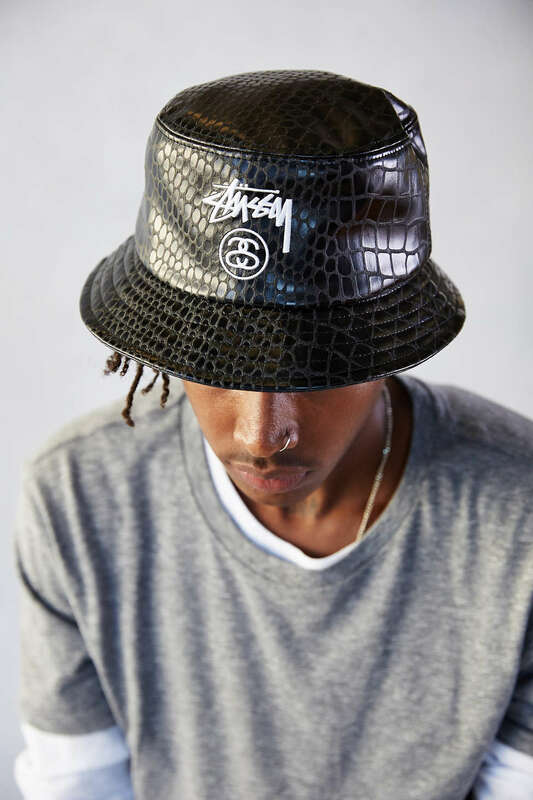 So for your headwear, consider this python leather bucket hat by Stussy, a brand that we particularly appreciate for its quality and design. 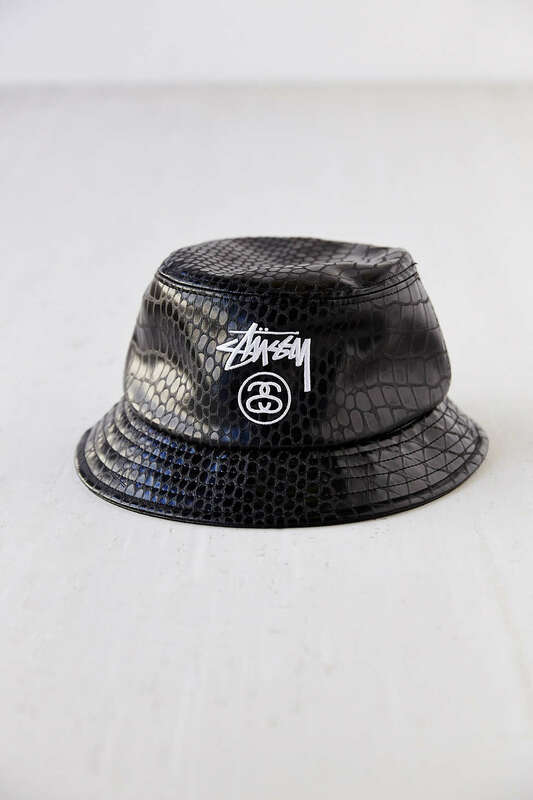 The bucket hat is has always been on the scene since the 80's when Run DMC were rocking it, but this year especially its eating up the headgear market, with snapbacks slowly but surely making room for them. And you just need that cold-blooded touch this summer to stay cool, and you can be sure that this hat will not let you down when it comes to stunting in the heat. Now unless you have been sleeping under a rock for the past year, you should know that the hype is all around layering your outfits now. Draping t-shirts and bomber jackets, extra long hoodies, its all in the mix and you just got to filter out the realest out there. 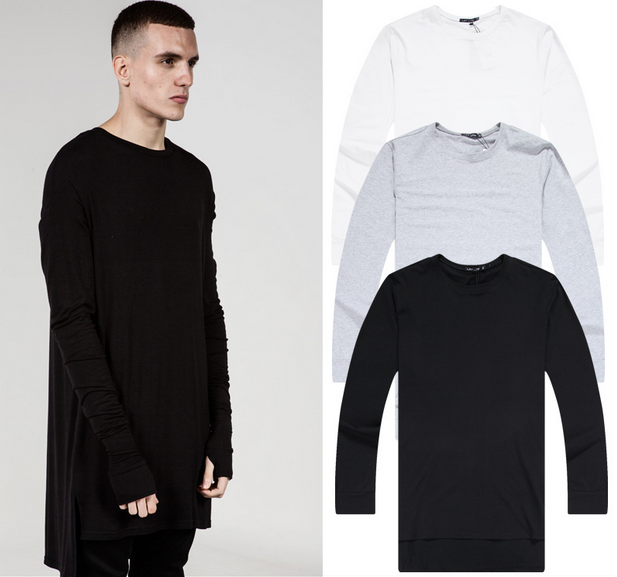 Keeping it simple is never a bad idea and a long plain black tee can go a long way. If you don't want to go all out on the all black everything, then switch for a white or grey. 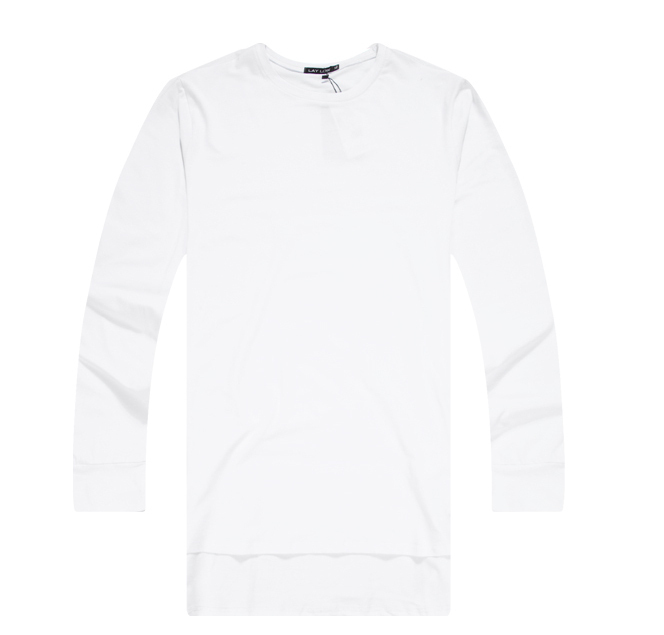 You can grab one at Rick Owen's for around a million dollars, or from a shop online like Bese Saka if you're the kind of person that likes to eat as well as buy clothes. Mixing monochromes can never go wrong and it will fit most of what you have in your wardrobe so this is a pretty safe one if you don't like going too wild. For the bottoms, the easiest thing to say would be to get a selvege denim from Japan for a couple of hundred bucks. You can't go wrong with that, for sure and if that's what you're looking for, check out Evisu which has a multi-language website (which helps if your Japanese is a bit rusty). We'd suggest to keep it a bit more lower end on the budget scale, and for that, your safest bet is to get a pair of jogger pants. 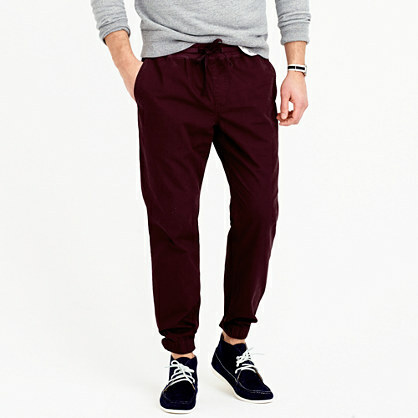 J Crew have some really nice ones for around 70$ in a variety of colors and cuts, perfect to keep cool and stylish in the summer heat. Now this is probably the most difficult choice you'll have to make, or rather, that we'll have to make. It's kind of like taking a kid to the biggest toy shop in the world and asking him to pick one. So we'll suggest 2 different models to keep you oh so fresh. 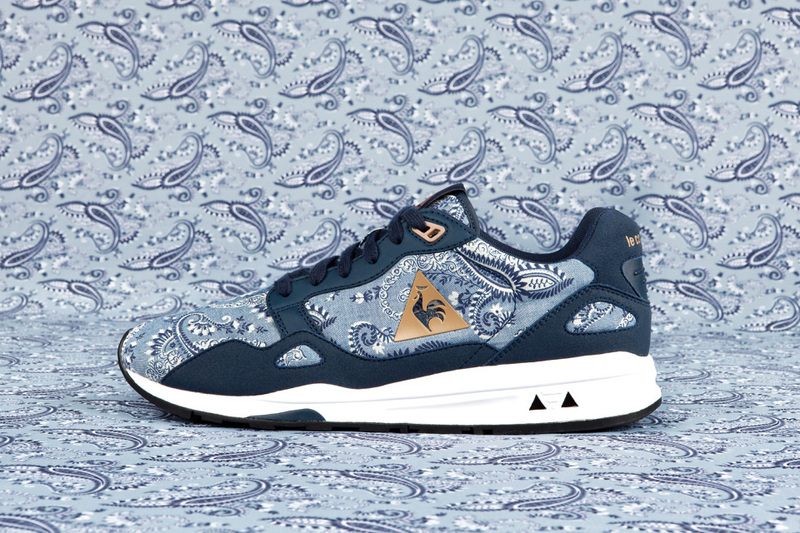 The French brand Le Coq Sportif recently released a awesome sneaker, the Eclat model for a collaboration with Liberty Art Fabrics, with a light blue paisley print that is so nice you probably won't even want them to touch the floor of you living room. Runners are the perfect option if you want to keep a slim silhouette and especially if you want optimum comfort. If you're more of a high top baller type of guy (or gal), then what else could you possibly consider than a pair of Jordan Retros (hypebeasts be like "what? no yeezy boost?? 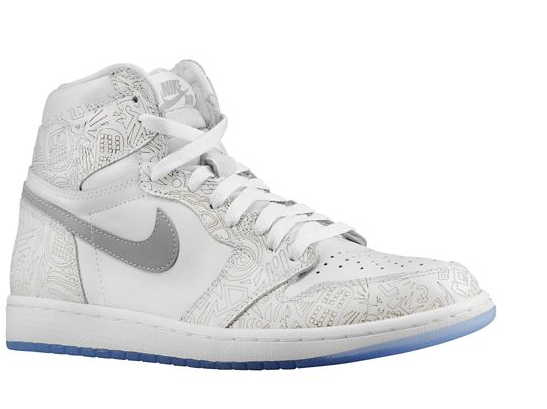 "), for instance a pair of AJ 1 in white with blue soles can never go wrong. You can grab a pair at Footlocker while it lasts, which should not be very long, or else at your local sneaker specialist store if that's how you go down. Now you know, you just got to go out and cop the ones you can't resist! Don't forget to come back and check out more news on the dopest outfits you can get and the best deals, only on Blvck Swvg! Keep on ballin'.